The United Nation’s 2030 Sustainable Development Goals highlight sport as “an important enabler of sustainable development”. It recognizes the growing contribution of sport to the realization of development and peace in its promotion of tolerance and respect, and the contributions it makes to the empowerment of women and girls, young people, individuals, and communities, as well as to health, education, gender equality and social inclusion objectives. 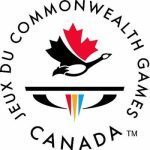 Thanks to the generous support of the Government and Canada and our other donors, Commonwealth Games Canada (CGC) is proud to have been one of the world’s pioneers of international sport for development and sport development work.